Disney's Riviera Resort is now accepting guest reservations for stays beginning in December 2019. 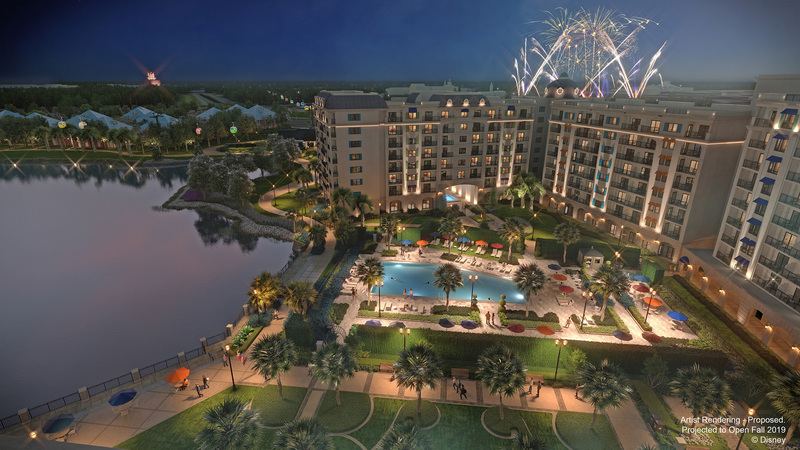 This all-new resort coming to Walt Disney World Resort in Florida, and slated to be the 15th Disney Vacation Club property, will immerse guests in the grandeur and enchantment of the European Riviera. "Disney's Riviera Resort is inspired by Walt and Lillian Disney’s travels throughout Europe and the Mediterranean coastline from France to Italy," said Terri Schultz, senior vice president and general manager of Disney Vacation Club. "Walt fell in love with European art, architecture, food and stories, and his extended tours of the region continue to influence Disney storytelling and theming. We look forward to welcoming our members and guests later this year to this new resort inspired by Europe and imagined by Disney." Guests at Disney's Riviera Resort will also have a new way to travel to Epcot or on to Disney’s Hollywood Studios via Disney Skyliner, a state-of-the-art gondola system that will begin operating this fall. In addition to a dedicated Disney Skyliner station at Disney’s Riviera Resort, the system will conveniently connect Disney’s Hollywood Studios and Epcot to Disney's Art of Animation Resort, Disney’s Pop Century Resort and Disney's Caribbean Beach Resort. Mixed messages. So is it open for DVC points bookings only (as its a DVC resort) or are they taking direct guest bookings? We will be there for Xmas and this is on the list for us if I can rent the points. Direct guest bookings from late December only for now. DVC bookings are due to open in "the spring". This thread shows the email sent to current DVC members. Awesome, thanks, might take a look! Hope you have a large wallet.